With compelling clarity, this inviting and informed journey through the Bible offers hope for eternity. Drawing on the author's passion for the scriptures, his years in an Islamic nation, and thousands of conversations with Muslim friends, this journey offers insight into life's big picture and clarifies some of the primary differences between a biblical and an Islamic worldview. The guide's endnotes section clarifies terminology used throughout the text and furnishes background information on customs of the era. A chapter-by-chapter discussion guide provides 150 questions for further examination as well as an assortment of Bible verses to spur self-reflection. 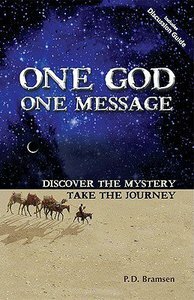 About "One God One Message"